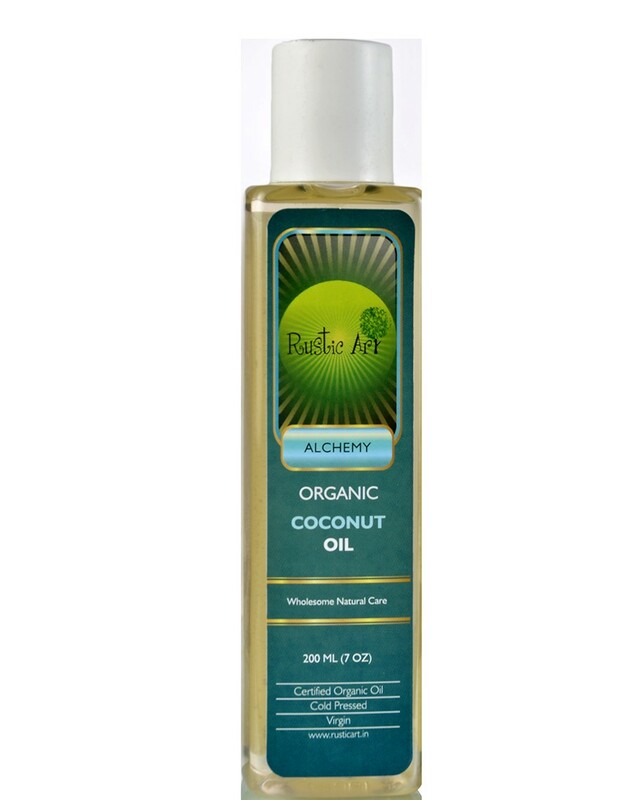 Cold pressed Organic Coconut Oil. Removes makeup easily, prevents nosebleeds. Removes scars & stretch marks. Use a desired quantity on hair or skin and massage gently. We are Nature Lovers! There is no better way of explaining who we are. They say one should be passionate about the vocation one takes! We did exactly that. We set out to share our love for the environment, in style. With Rustic Art we encourage use of products which are closer to nature, pure and capture the real essence of its ingredients. We believe in living a life which is free of harmful toxins, chemicals and artificial elements. We define this as rustic! To bring rustic-ness to every aspect of our lives is our constant endeavor. Rustic Art is an extension of our passion towards using environment friendly, nature sensitive products.We are Nature Lovers! There is no better way of explaining who we are. They say one should be passionate about the vocation one takes! We did exactly that. We set out to share our love for the environment, in style. With Rustic Art we encourage use of products which are closer to nature, pure and capture the real essence of its ingredients. We believe in living a life which is free of harmful toxins, chemicals and artificial elements. We define this as rustic! To bring rustic-ness to every aspect of our lives is our constant endeavor. Rustic Art is an extension of our passion towards using environment friendly, nature sensitive products. A must have in every home! This oil is multi-purpose and can be used on skin as well as hair. Heals skin diseases like fungal infections, acne, eczema, keratosis pilaris, psoriasis, rosacea, etc. Strengthens & conditions & hair, reduces skin bags, puffiness & wrinkles, soothes sunburned skin, heals burns & blisters. Removes makeup easily, prevents nosebleeds by mild application inside nostrils, heals diaper rash. Removes scars & stretch marks. • Disclaimer: We are not manufacturer of any personal care products. We only supply products of original and reputed vendors across India. All products are dispatched directly from the vendor with their original packing and safe guarded by wishvilla’s packing.